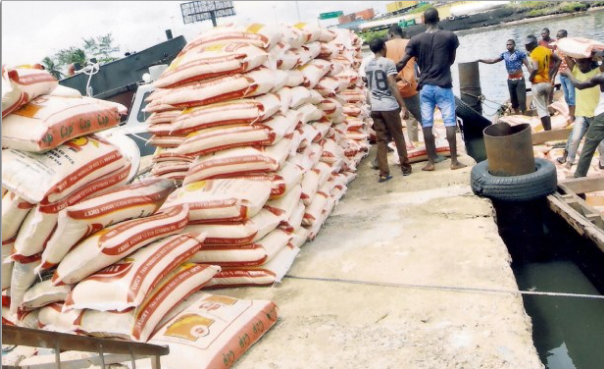 Authorities in Nigeria are set to shut down the land border between Nigeria and an unnamed neighboring country in a few days’ time to avoid smuggling of foreign rice into the country. Nigeria shares borders with Niger, Chad, Benin and Cameroon and authorities, without mentioning which country, says that their local rice production is suffering as a result of the unnamed country’s actions of smuggling rice into Nigeria. The minister of Agriculture and Rural Development, Chief Audu Ogbeh, disclosed the plan to shut the border yesterday in Abuja while speaking with youths in a leadership clinic under the auspices of Guardians of the Nation International (GOTNI). In the past few months, the federal government has been seeking ways to ensure that the Memorandum of Understanding (M0U) Nigeria signed with its neighbouring countries to check smuggling is implemented. Rice importation is said to have reduced by 95 per cent while the number of rice farmers has increased from five million to 30 million in the last two years.